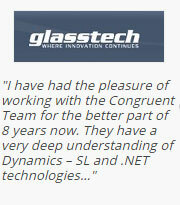 Congruent is one of the few Microsoft partners that provide services on Dynamics SL across the globe. Our years of experience and expertise on developing software on Microsoft technologies enables us to customize web apps that aligns with your varied requirements. 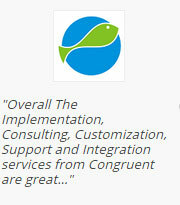 For many years Congruent has been helping its clients through creating software that meet their business needs. Having expertise in Microsoft Dynamics products along with certification in multiple areas of Microsoft technology stack, our development engineers are capable of fulfilling diverse customization requests on Dynamics SL Web Apps. We swiftly get into action as soon as you provide us with your web apps customization requirements, our experts in Dynamics SL would turn your request into a reality by creating the solution that fulfils your exact needs. In addition to that, if your existing code is not performing the way it is expected, we provide design guidance, performance tuning, and consultation on alternative ways to achieve the results you want. Why Congruent For Web Apps Customization? For further queries or to express your interest in our Dynamics SL web apps customizations, please fill in the enquiry form for us to touch base with you.